Rajasthan Assembly Elections are scheduled on 7th December, 2018. These elections are crucial for Lok Sabha polls 2019. To support the state, PM Narendra Modi and BJP national president Amit Shah is slated to begin Rajasthan tour. It will start from November 23. This tour will be of 12 days. Know more. In this campaign, rallies will be held in different districts across the state. Election Commission (EC) will release the final list of candidates on November 22. There are certain election meetings to be held in state ahead of polls. Hence, tentative programme of the proposed election meetings has been sent by BJP central leadership to Rajasthan’s BJP unit. As per the sources, these rallies will be continued till December 4. During this 12-day period, the PM will address 10 meetings while Amit Shah will hold 15 public meetings. 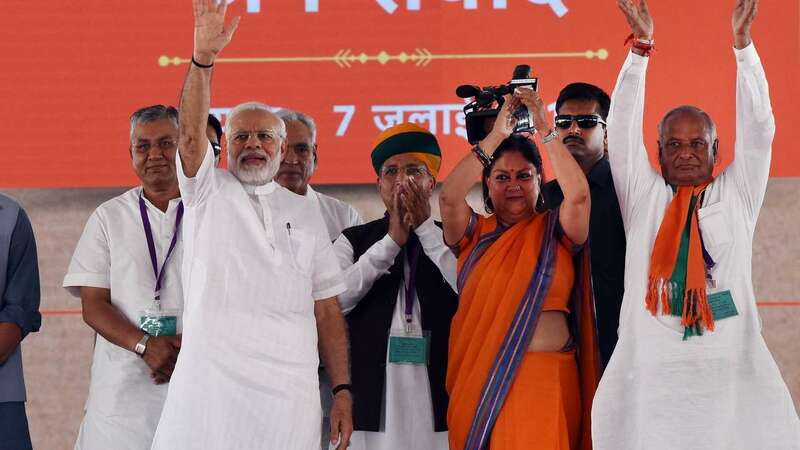 PM will address rallies in various districts of Rajasthan like Alwar, Jaipur, Kota, Jodhpur, Sikar, Bhilwara, Dausa, Hanumangarh, Nagaur and Dungarpur districts. He will address rallies to ensure BJP’s comeback in state. As provided by BJP, in the last assembly elections PM Modi addressed 12 public meetings in Rajasthan. In fact, both PM Modi and Amit Shah made many visits to the state many times this year. PM lastly came to Rajasthan on October 6 and addressed a public meeting in Ajmer.